Summary: The Epistles of the Acts Period reflect the conditions of the Acts Period. This recording is Part 2 of two messages examining the role of the Holy Spirit during the Acts Period, as outlined in the Epistles of that time. In recent studies, we’ve been looking at the work of the Holy Spirit during the Acts Period. The Holy Spirit was a permanent fixture in the life of the Acts Period believer, and enabled the common believer to perform miracles during that time. We began by looking these occurrences in the book of Acts itself, and in the last lesson, we started seeing these same features in the documents that accompany the Acts Period, namely, the epistles of the Acts Period. We spent a few minutes focussing on the words “anoint” and “anointing”, two words associated with the working of miracles and the priestly role of Israel; we also read Romans 11, which speaks of the Gentiles who, during that time, were grafted into the olive tree of Israel. Phrases to do with the “anointing” of the Spirit are absent in the writings after the Acts Period, and we should take care to rightly divide in this instance and leave anointing it in the periods it belongs to. 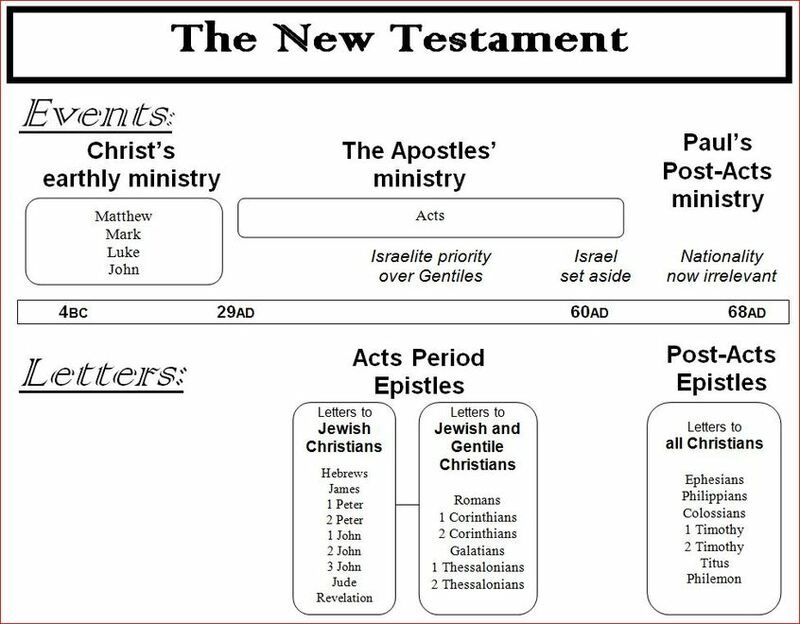 Tonight we’ll continue looking at the Acts Period epistles (please refer to the chart above), particularly emphasising the miraculous gifts of that time. It becomes evident that each believer in Christ was blessed with the Spirit’s presence in their lives, and each person manifested some kind of miraculous gift. v.6b,7 – testimony of Christ was confirmed in you …. so that you come short in no gift – we’ll start to read about “gifts” in a moment. - testimony of Christ – cp. John 15:26 – one of the main roles of the Holy Spirit was to testify of Christ – this was done through the inspired preaching and teaching of the apostles, and the miracles that accompanied their preaching. Likewise, every believer at the time exhibited spiritual gifts, testifying of Christ’s part in their life. v.7 - "come short in no gift" – everyone displayed one of these gifts. v.5 – KJV/NKJV “in all utterance” (NIV 2011 - “all kinds of speech”; NIV 1984 – "in all your speaking") a difficult phrase … but notice – all “knowledge” as well. Gifts and knowledge are going to come up a few times in this study. More a bit later on. Obviously, it wasn’t always smooth sailing having those gifts. The Spirit’s presence did not equate to being perfect or sinless; it never did in the OT times, nor does it today, and it didn’t during the Acts Period. – not the gift of music, art, or being a good public speaker, or a good fundraiser for the church, etc – these are partly natural leanings and partly learned skills which we often develop (eg, by having piano lessons and practising at home). The spiritual gifts were enabled by the Holy Spirit. No practise was required - not in the OT or the Gospels, and not in the Acts Period either. These were “gifts” (borrowing a phrase from Eph 2 – “lest any man should boast”). these are gifts of enablement and revelation - not an exhaustive list, because other gifts are mentioned elsewhere in the writings that pertain to the Acts Period. Even later on in v.28,29 there are others mentioned. Let’s take a quick look at the list, and establish some basic working definitions for the time being. - some overlap between these two, but whereas knowledge is about information, wisdom is more to do with summing up a situation and acting appropriately. A person can be quite educated and know a lot of things, without being wise. A different person can also be quite unlearned but act with wisdom and prudence and discernment. v.9 faith (also Romans 12:3) – not the basic faith to believe in the Lord Jesus, but seems to related to something extra, a faith related to the demonstration of the spiritual gifts. Faith to believe that, when faced with an impossible (not just difficult) situation, that God’s Spirit would take over and deal with the situation. - when the young boy David faced the might of Goliath? - when Peter and John faced the Sanhedrin in Acts 4 and speak on behalf of the Lord Jesus? - healing outside of human intervention like surgery, or outside of the normal healing process, and miracles that would not otherwise be humanly possible – “evidential” miracles., miracles that can be proven to be such, not just hearsay or speculation. perhaps a skill beyond what is described in v.3, and also in 1 John 4, on how to test various spirits to see if they are from God or not. v.10 interpretation of tongues – being given an understanding to interpret those languages, even though not having previously learned them. One further point - the people were not responsible for the gifts that they had, but they were responsible for how they used their gifts, and their attitude to the gifts. This is the purpose of chapters 12,13 and 14 – full of instructions concerning these gifts, how they were to be used for the benefit of all, what the church’s attitudes to those gifts should be, and, particularly with the gift of tongues, how these gifts were to be exercised in an orderly manner, honouring to God. The Acts Period was a foretaste of the future kingdom, when there will be a great outpouring of the Holy Spirit (Acts 2/ Joel 2 – “it will come to pass in those days that I will pour forth my spirit upon all flesh, and your sons and your daughters shall speak of things to come, etc) … and a time when they will no longer have to teach each other and say “Know the Lord”, for they will all know Him. (2) they haven’t happened yet – teaching is still required today. Evidential phenomena came upon all believers during the Acts period, but the process wasn’t complete. The conditions of the Acts Period were just a foretaste of the future kingdom. The promise of the kingdom is related to Israel’s repentance. Israel have been set aside in God’s plans, thus, so have the miracles. The miracles and "manifestations of the Spirit" will recommence sometime again when God starts dealing with them as a special nation once again.